Firms that satisfy advisors on both pay and work environment are best positioned to retain talent, according to the 2015 Trends in Adviser Compensation and Benefits study, a joint project between FA-IQ and the Financial Planning Association’s Research and Practice Institute. Researchers polled 694 participants in February and included advisors at independent RIAs, regional broker-dealers and wirehouses. LLBH has a staff of 17 people, including three founding partners and several other client-facing planners. All team members receive a salary and, potentially, bonuses based on firm results and personal performance. Employees are benchmarked against performance metrics designed specifically for their roles, and managers check in with staffers monthly to discuss their progress, according to Jeff Fuhrman, the firm’s CFO and COO. Each employee knows how his or her performance metrics and role contribute to LLBH’s broader strategy, he says. Spotting dissatisfied team members before they leave requires that managers listen to employees’ complaints and suggestions, and then make the desired changes — provided they’re in the firm’s best interest, says Mark Delotto, a managing partner at Massey Quick. The FT 300 firm, based in Morristown, N.J., manages over $2.8 billion. Delotto has become the go-to person when staffers at Massey Quick need to voice concerns. The firm also occasionally solicits anonymous feedback, so employees can feel free to speak openly. Massey Quick has 27 employees, including five partners and six relationship managers who interact with clients. Most staffers there receive a base salary and are eligible for a bonus tied to both individual performance and firm performance. Employees can sit on a task force that collaborates to improve some integral aspect of the business, like trading operations or investment research. Inviting staffers to participate on the task force helps them to feel valued and to trust that their well-being is aligned with the firm’s well-being, according to Delotto. “If people on the task force don’t voice their opinion or contribute, that’s a pretty big sign they’re dissatisfied,” he says. Other advisors strive to spread warm feelings in their own way. 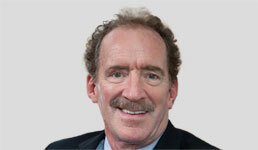 Nathan Bachrach, CEO of Simply Money, does his best to show empathy and to lead by example. His Cincinnati firm manages $725 million. He started it by himself and 20 years later it has grown to 32 employees, along with half a dozen independent contractors. All of his original hires are still on board, and Bachrach says he’s never lost anybody he wanted to keep. Advisors receive a base salary plus a quarterly bonus linked to firm profitability, client satisfaction and client retention. They’re also rewarded for discussing ancillary services like insurance with clients. Bachrach’s 10 advisors don’t have to land new clients; that’s his job. That frees them to concentrate on financial planning. A few years ago, he decided to let employees focus on their core competency rather than require them to wear multiple hats. People know what’s expected of them, and it’s easier for him to praise them for their work, he says.